The Slow Food movement has conquered Norway. Since 1999 its members have met to prepare and enjoy food according to Norwegian traditions. I have been a member for a year, and I have had the pleasure to participate in their arrangements. 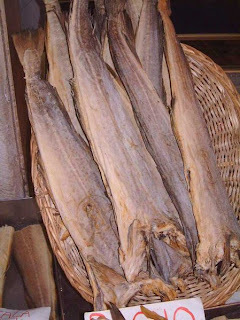 For those of you living in Oslo, you may discover an interesting culinary tradition around a genuinely Norwegian ingredient – the revered salted and dried codfish or the Bacala. 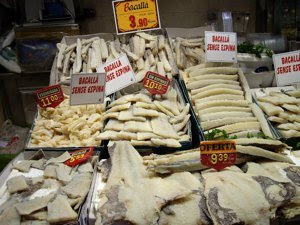 Bacala or stockfish has been produced for centuries according to old traditions. In fact it has placed Norway on the map in Southern Europe and as far away as South America. September 4th Slow Food Oslo, will prepare some interesting recipes from different countries based on Bacala. Carlo Hjelkrem from the Norwegian Bacala capital Kristiansund, will prepare the local Bacalao. 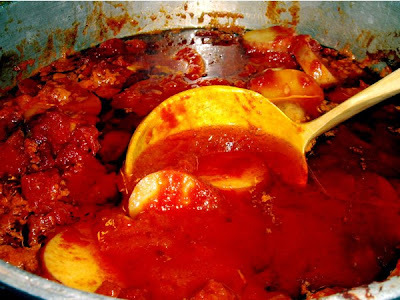 It is made from layers of potatoes, onions, Spanish pepper, garlic and stockfish, boiled in stock, tomato paste, and olive oil. Baccala alla Napolitana is a mild bacalao with layered fried codfish and mussels, garlic, oregano, olive oil and tomatoes. Ravioli di Baccala. Raviolis filled with codfish, potatoes, parsley and served with a tomato and basil sauce.